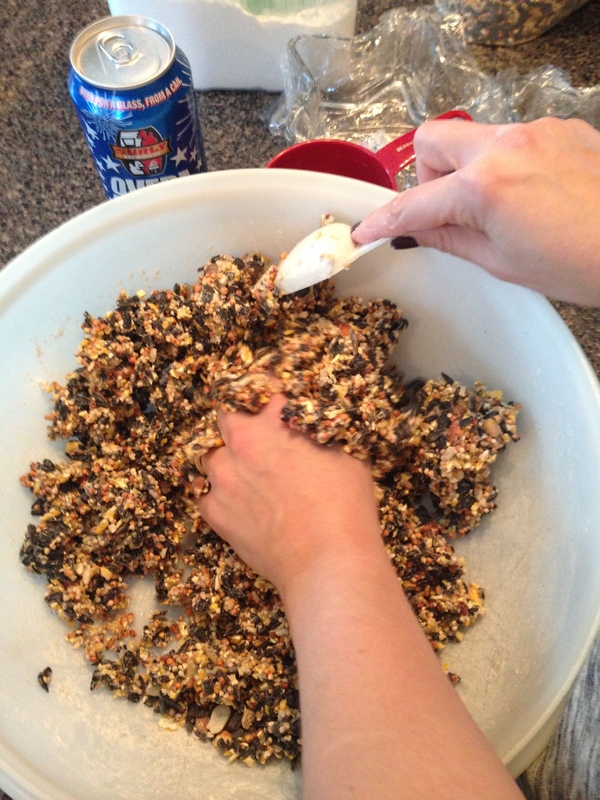 4 cups bird seed – any blend is fine. I opted for this “bird watcher’s blend” – basically the cheapest blend I could find. 1 packet gelatin dissolved into 1/4 cup boiling water. Plastic straws, cut into three sections. Metal skewer or any sturdy, thing object longer than 4″. Glass star-shaped dish. I found these at the dollar store. 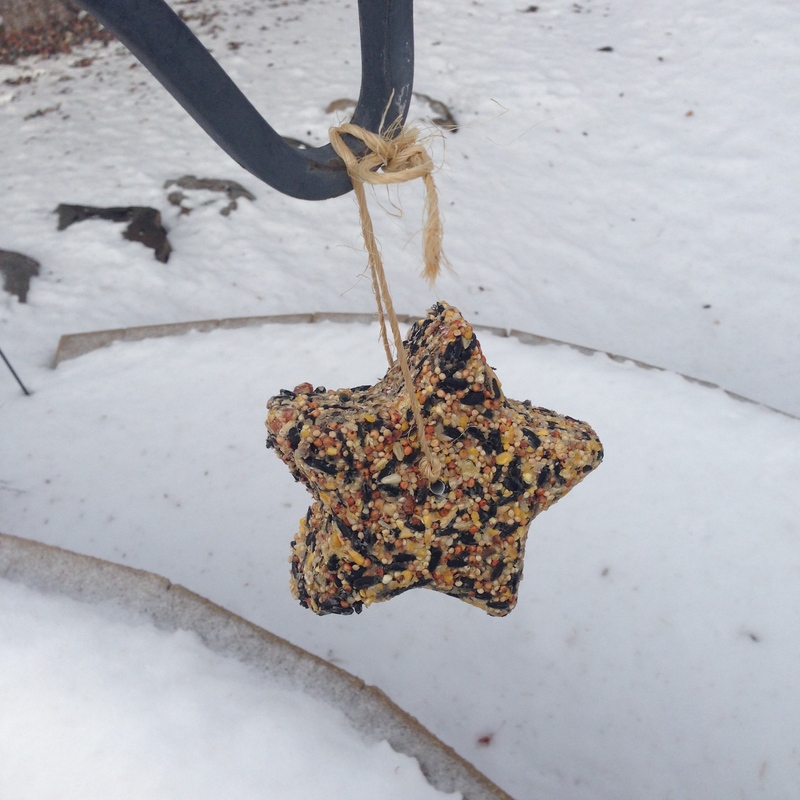 I’ve seen other sites that make similar suet feeders out of cookie cutters but I couldn’t find cookie cutters that were big enough so I bought these (thanks to my sister for the find). 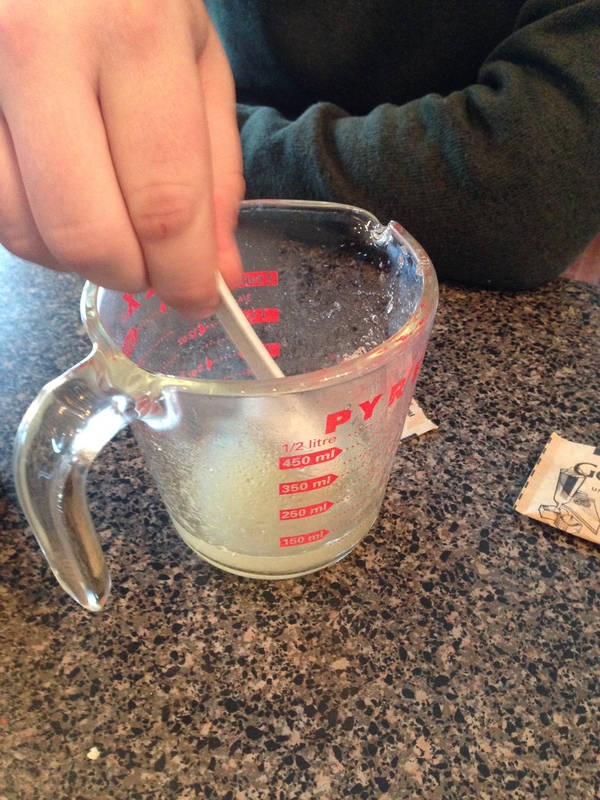 Dissolve the packet of gelatin in the 1/4 cup boiling water. In a large bowl, mix the water and gelatin, flour, and corn syrup. 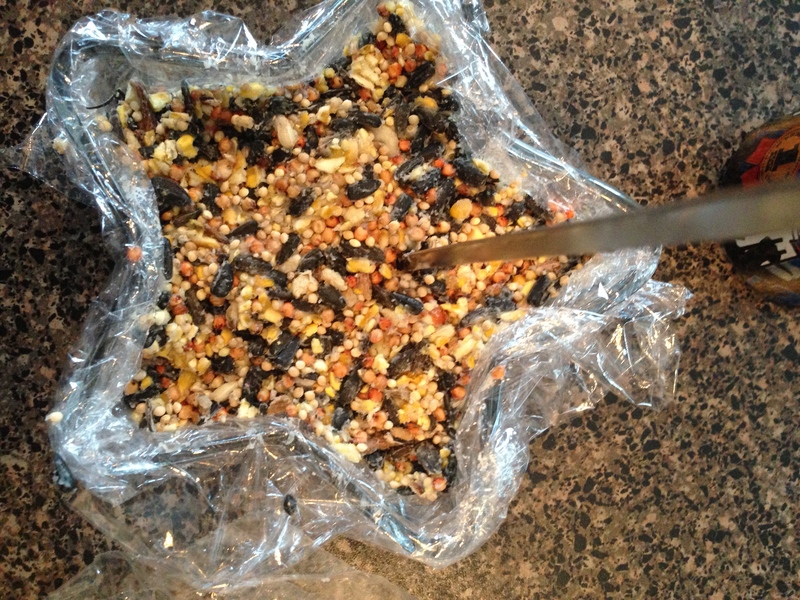 Once it’s blended, stir in all the birdseed. The mix will be really sticky. I found it worked best to mix it with my hands. 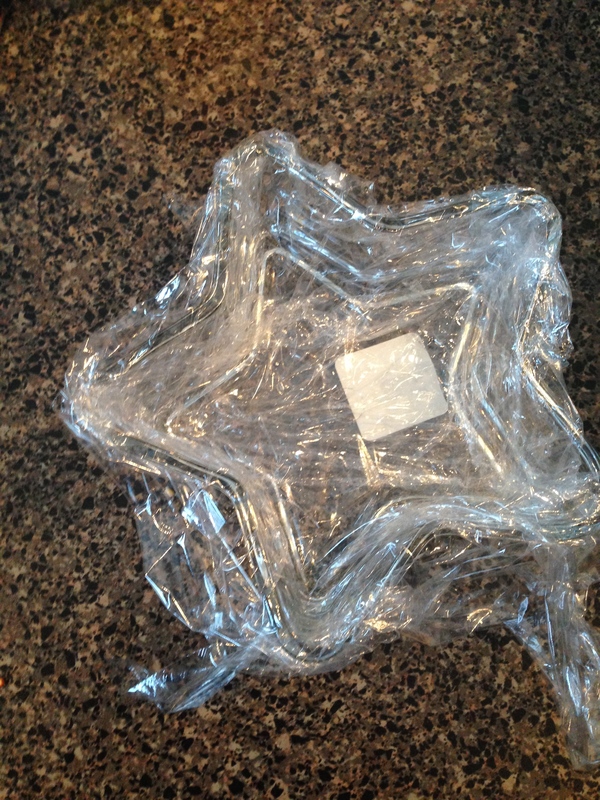 Spray the star dish with cooking spray then line it with plastic cling wrap. 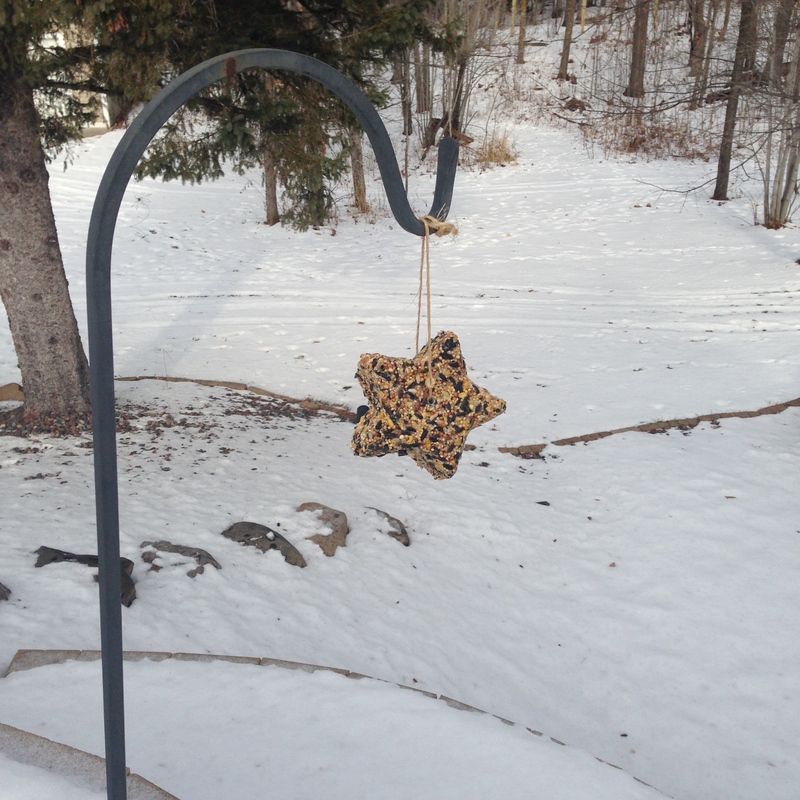 This will make pulling the suet molds out of the glass much easier once they’ve set. 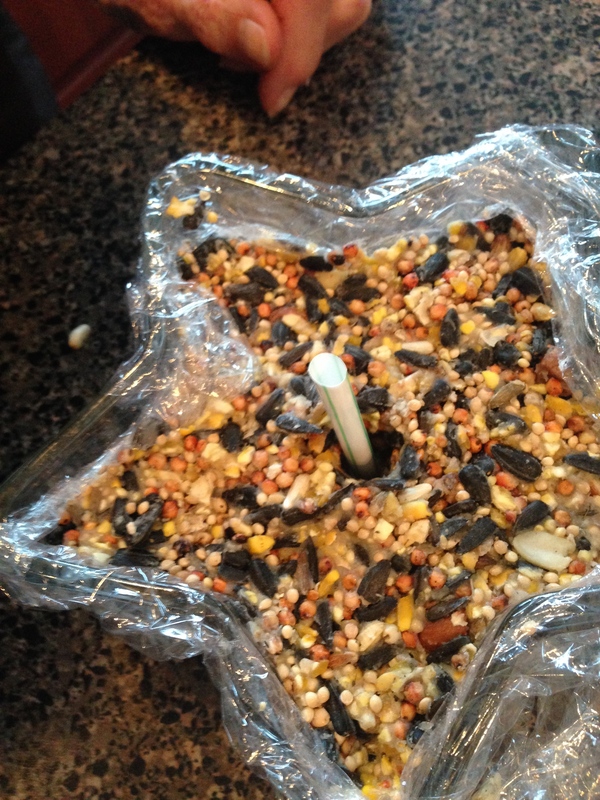 Scoop the birdseed mix into the lined glass dishes. Fill the dish to the top. 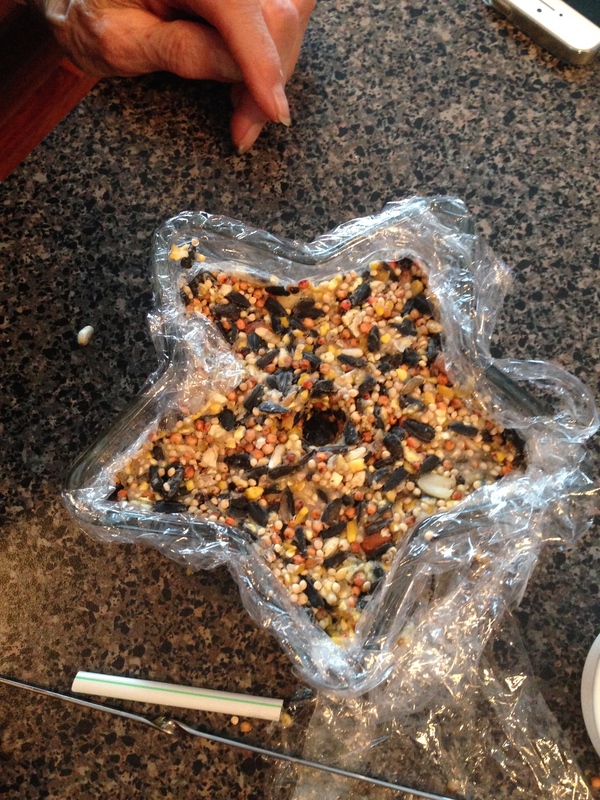 Take a piece of plastic cling wrap and use it to pack the birdseed mix into the dish. The tighter you pack it, the better it will hold together. Using the sharp object, poke a hole in the middle of the star. Make sure the hole goes all the way through the mold. Insert the straw into the hole. This will stay in place until the mold dries. 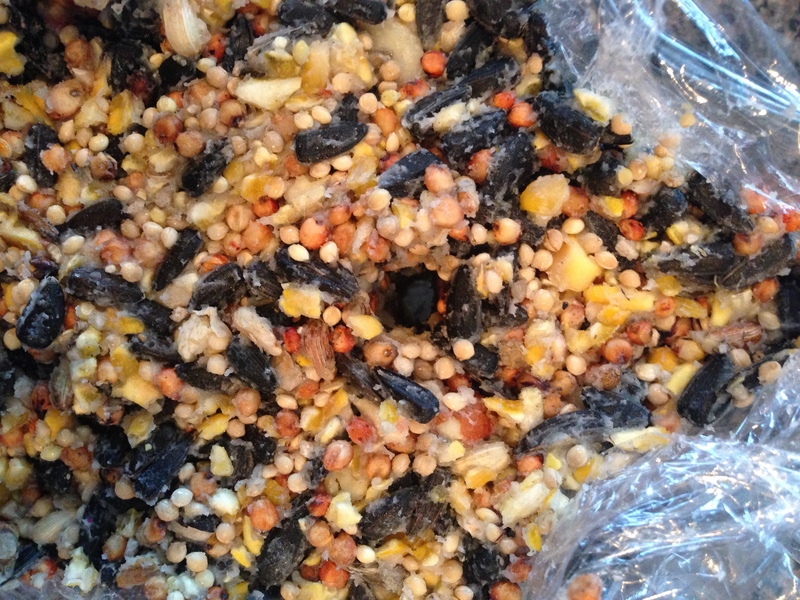 Repeat steps 3-6 until all the birdseed mix is gone.Let the molds dry at least two hours. I set mine outside in 10 degree weather for at least four hours. Pull the molds out. 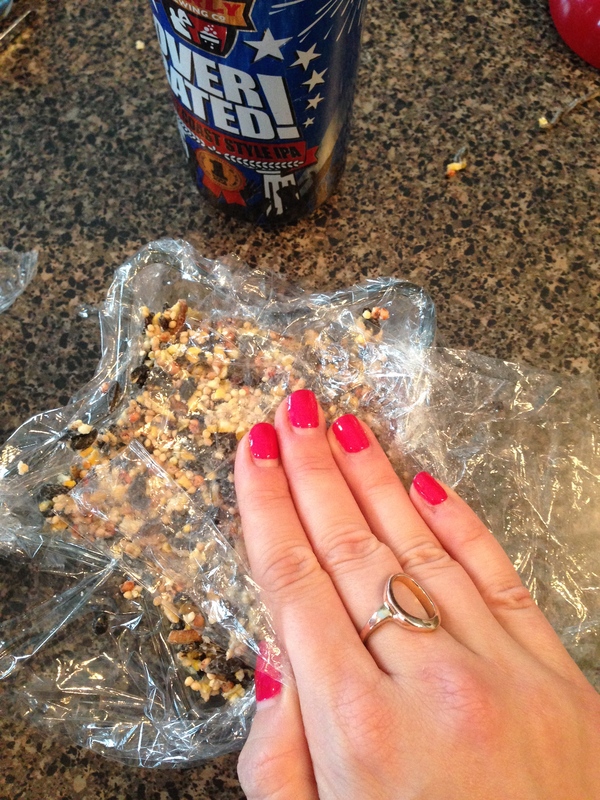 I found it was best to tug on all sides of the plastic cling wrap at once. They’ll be pretty stuck and will take some tugging. Loop the string though the hole and tie a knot, making a loop with the string. You can remove the straw for this part, or keep it in but trim it down to be the length of the mold. I opted to trim the straw and keep it in so the string wouldn’t rub on the mold and wear on it. Hang outside or wrap up to give as gifts.